Sam Grainger | Magazines and Monsters! 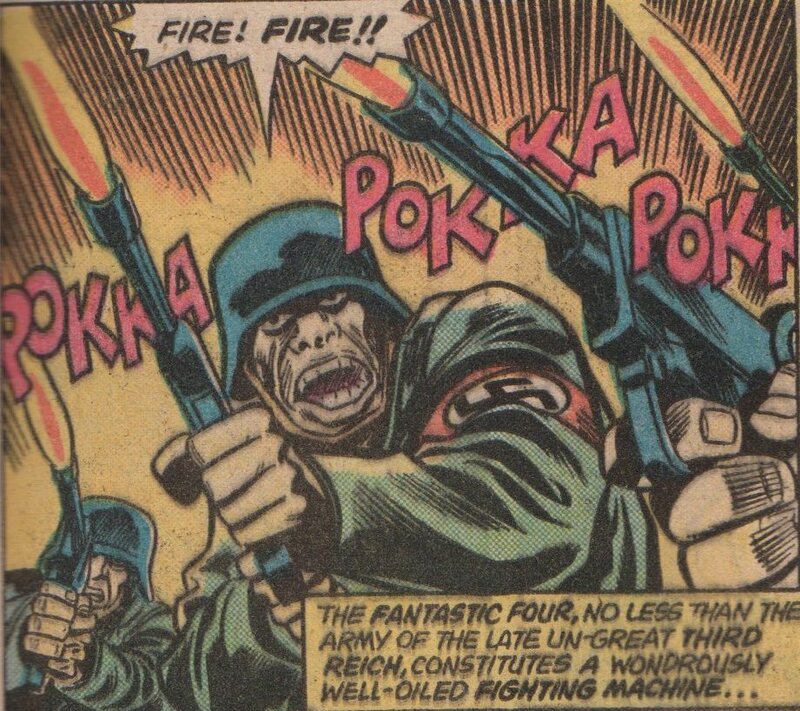 After leaving Marvel (Timely/Atlas) for the second time, Jack Kirby created the Fourth World. 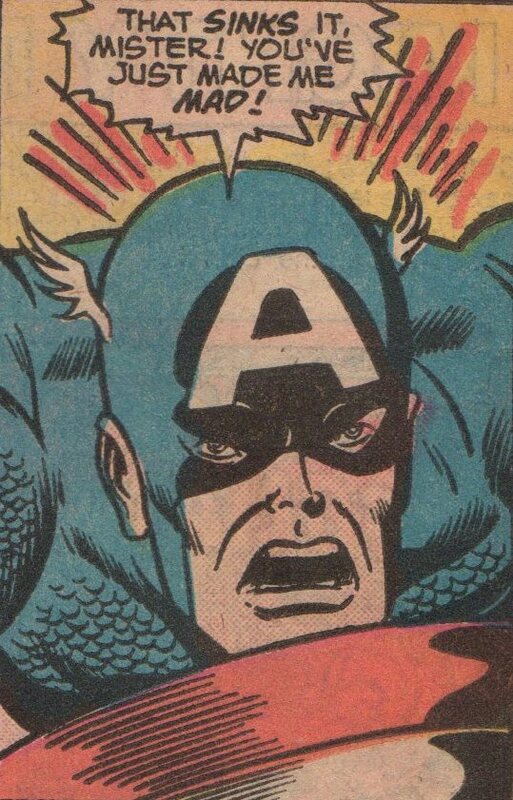 To put it simply, he created an entire universe full of characters from the vast, galactic brain of his that had already spawned the likes of Captain America (with Joe Simon), the Romance genre, the Boy Commandos, Challengers of the Unknown, The Sky Masters of the Space Force, and…well, you get it. 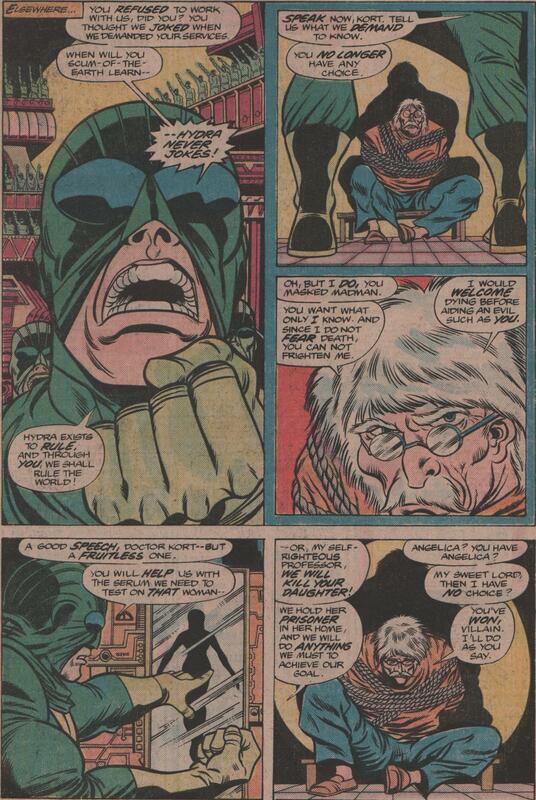 Oh and he also co-engineered (if not engineered) much of the Marvel Silver Age. After a few short years at DC, he returned to Marvel once again, and he gave us all something very different, and very cool. Titles like Machine Man, Devil Dinosaur, 2001: A Space Odyssey, drove our imaginations to new heights. 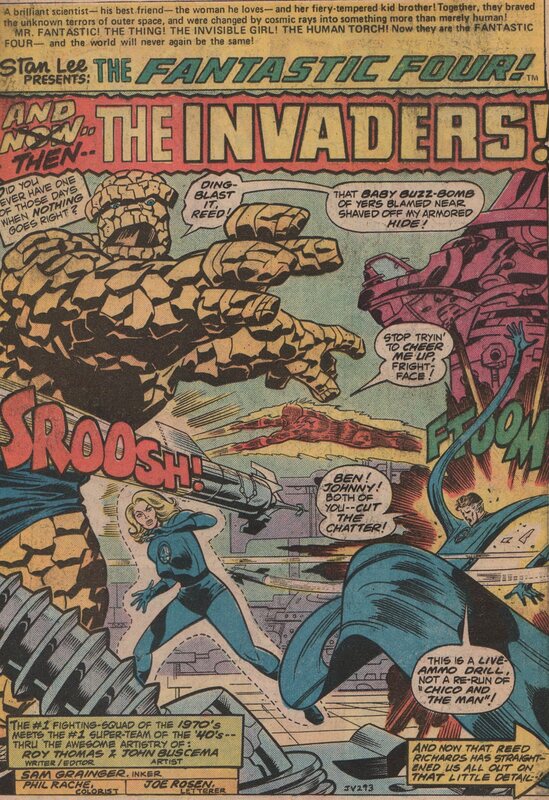 Kirby also did numerous covers for the Fantastic Four, and The Avengers! Books like this one are a comic book lovers dream. 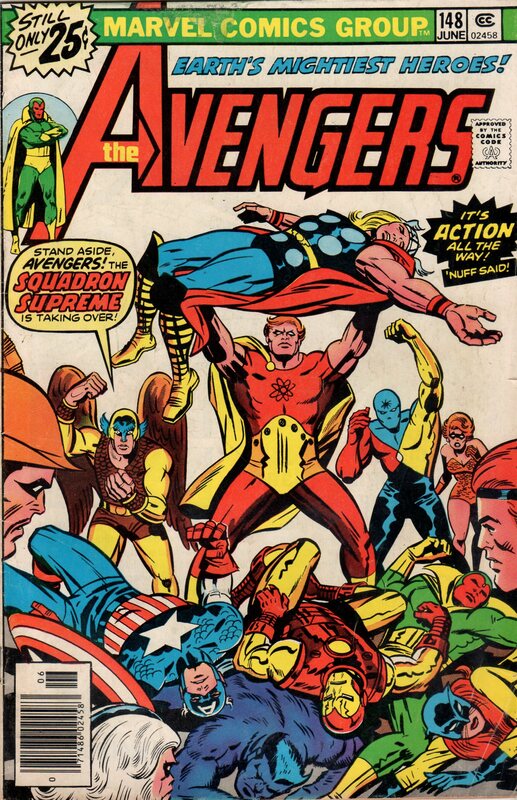 Cover by Jack “King” Kirby, story by “Stainless” Steve Englehart, pencils by “Gorgeous” George Pérez, inks by Sam Grainger, colors by Hugh Paley, and letters by “Titanic” Tom Orzechowski! 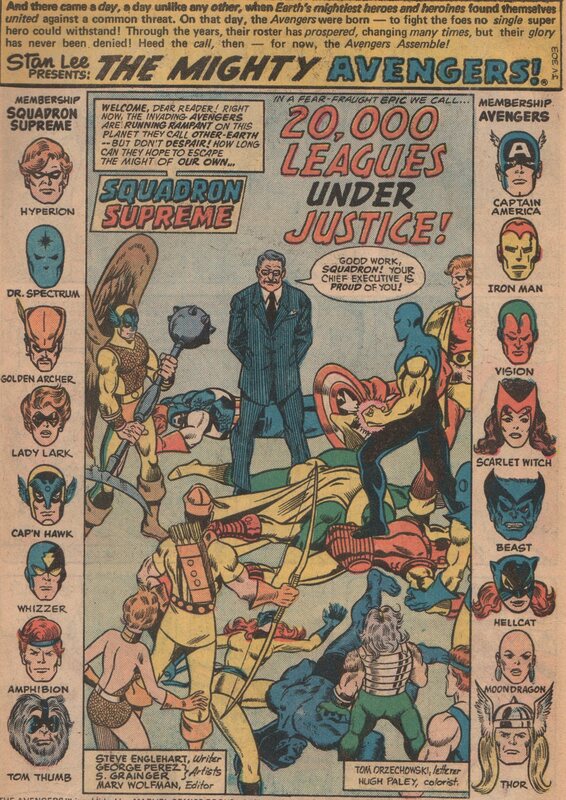 This issue features one of the teams that could consistently give The Avengers a run for their money- The Squadron Supreme! 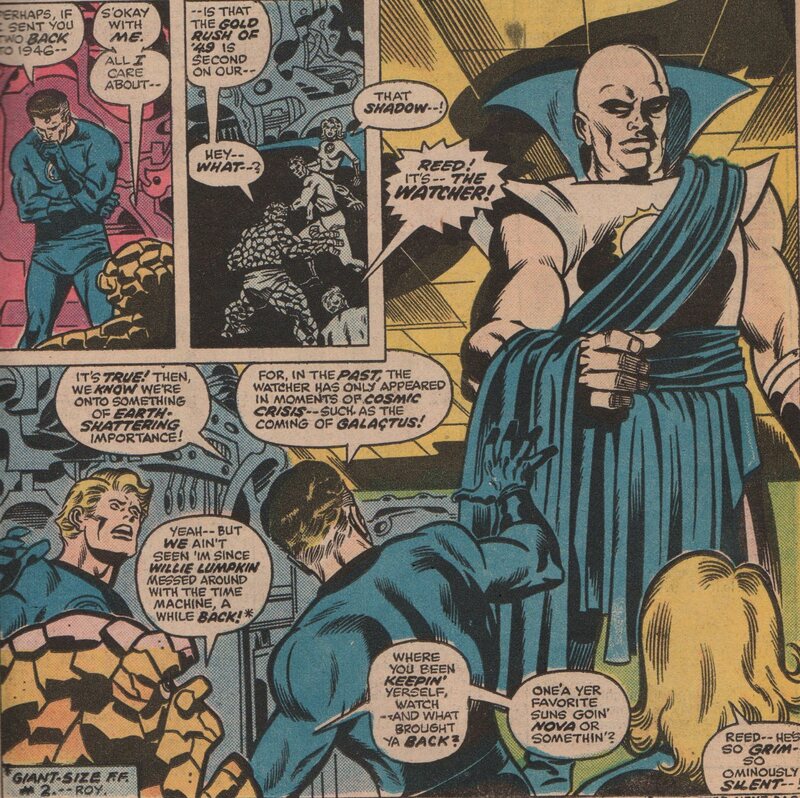 Returning to the corner of the Marvel Universe occupied by Marvel’s first family, I thought it would be appropriate to focus on an amazing annual from the Bronze Age. 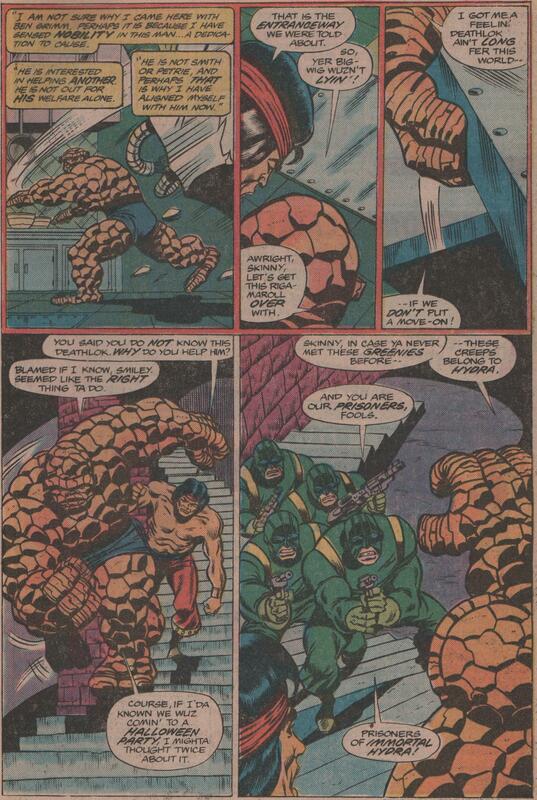 In FF 169, Luke Cage was under the sway of the Puppet Master, and attacked the Fantastic Four. 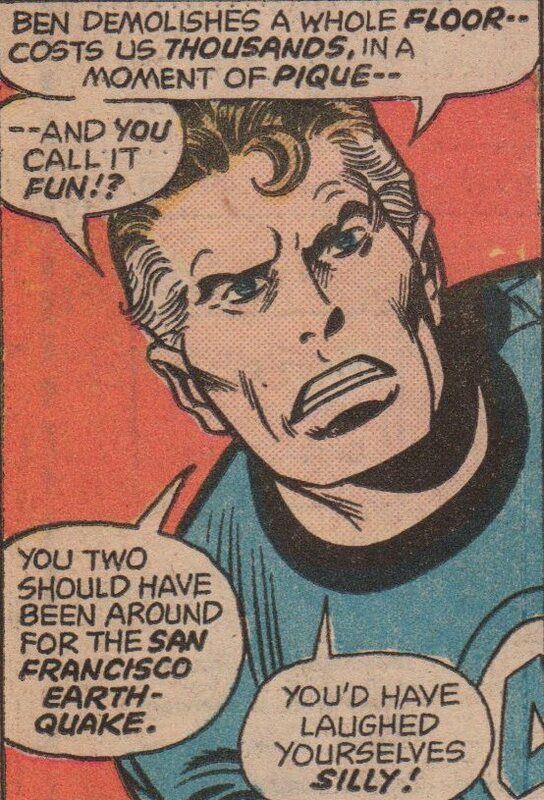 While he was going crazy, he knocked some Vibranium into Reed’s time machine. It was transported back to WWII era, and into the hands of the Nazis. With this awesome weapon, it looked as if the Allies would be defeated, and the world would live in tyranny. 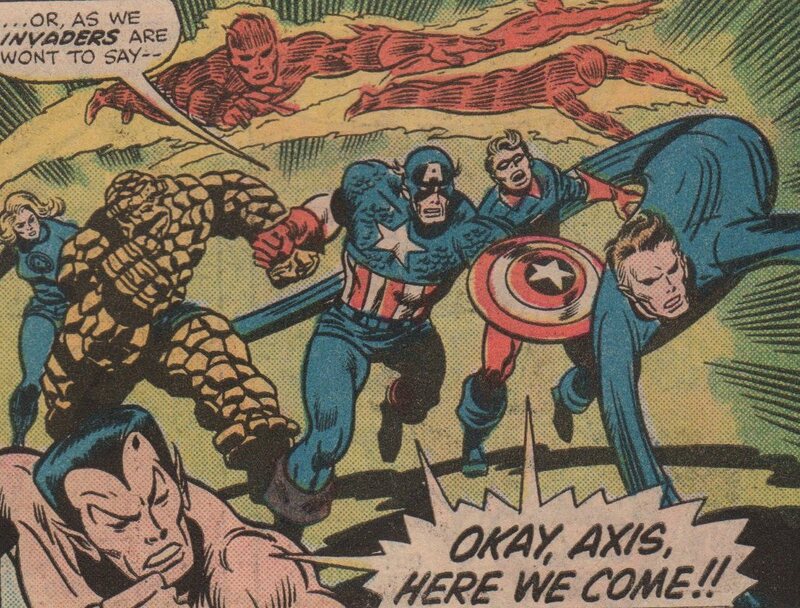 The FF then uses the time machine to hurl themselves back in time to help the greatest team of WWII, The Invaders, stop the Nazis and Baron Zemo! 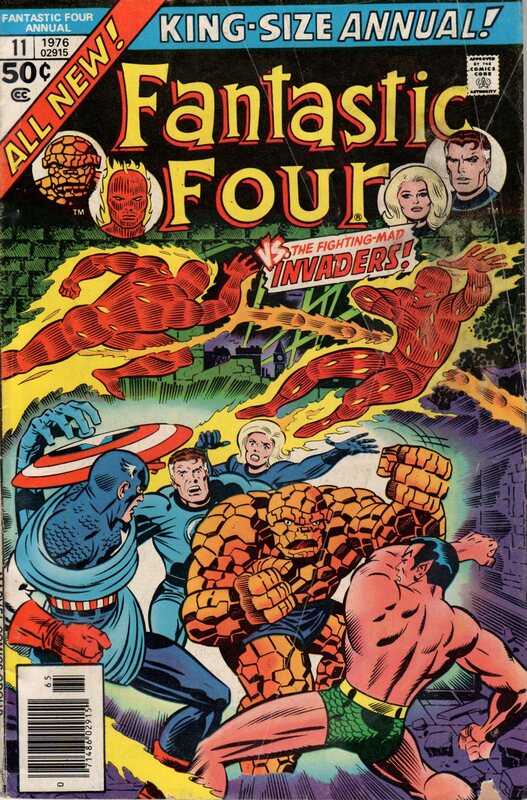 This era of Marvel will always be my favorite, as Jack Kirby (cover pencils, inks by Joe Sinnott) returned to do some great covers like this one. 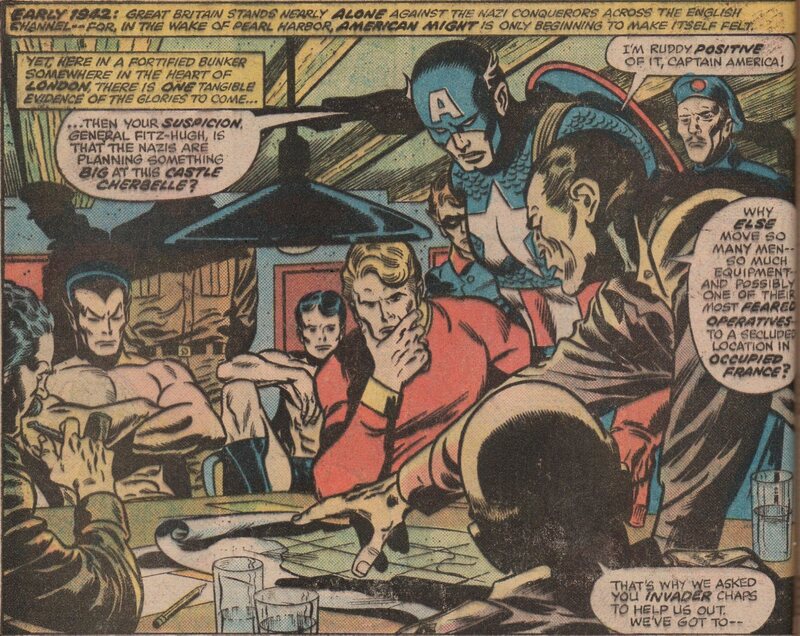 Not to be outdone, is Mr. editor/writer/everything man, Roy Thomas, as he adds his uncanny ability to write team books. And this one has two great teams in it! 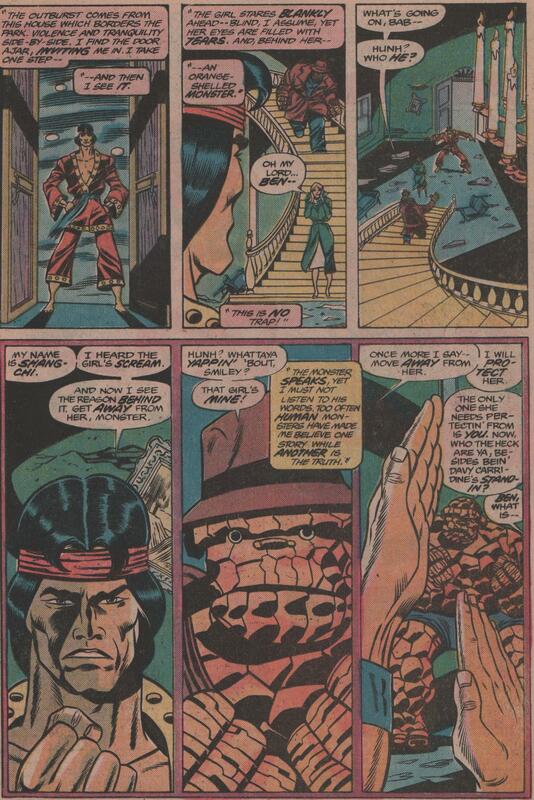 One of my all time favorite artists, is “Big” John Buscema (pencils). His pencils are always a treat to see, and the inks of Sam Grainger compliment him well. 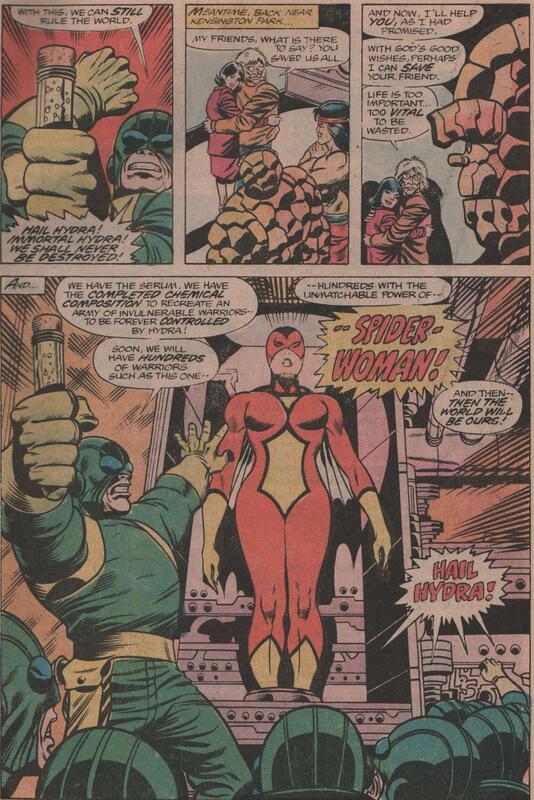 Colors by Phil Rachelson, and letters by Sam Rosen! 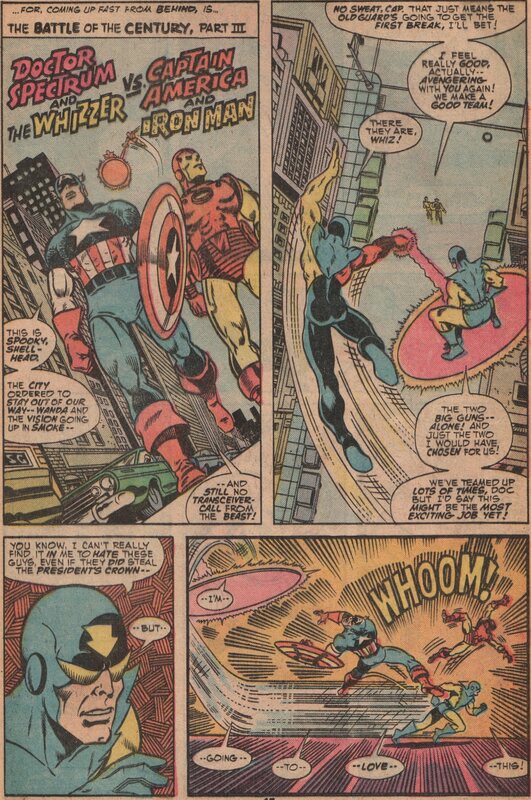 I thought it was time I went back to one of my favorite titles with Marvel Two-In-One! This book was so much fun, and even if you aren’t the worlds biggest fan of the Thing, you can still really enjoy this book. 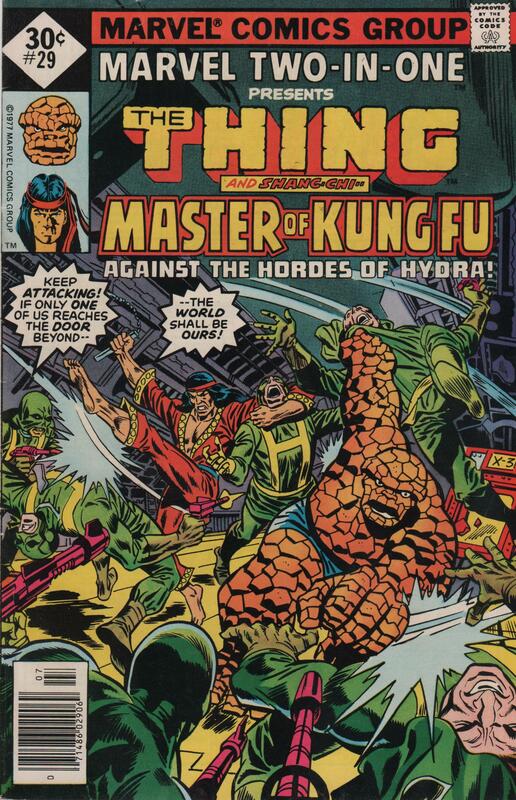 Take this issue for example; you get to see Shang-Chi, Master of Kung Fu, battle right alongside the Thing, as they try to take down Hydra! 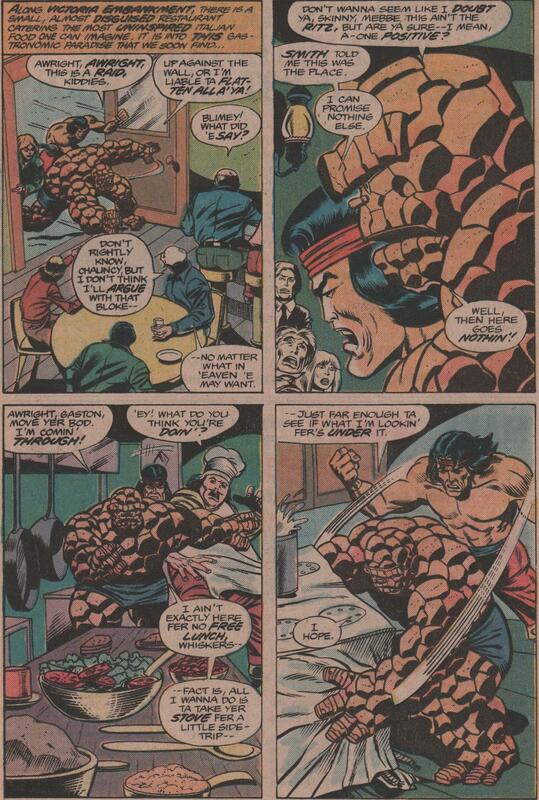 You get some action, plus some tender moments between Alicia Masters and Ben Grimm, that are absolutely incredible. 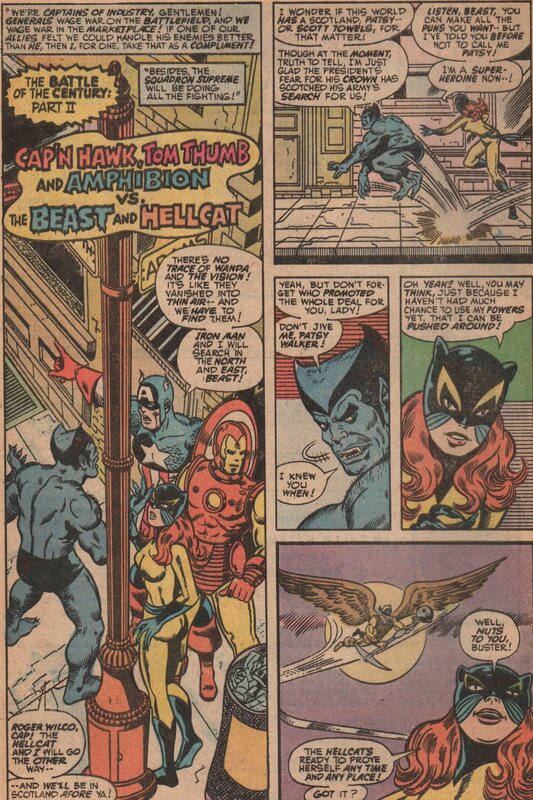 The story is by ‘Marvelous’ Marv Wolfman, the pencils by the criminally underrated Ron Wilson, inks by Sam Grainger, letters by John Costanza, and a fantastic cover by Rich Buckler and Frank Giacoia! 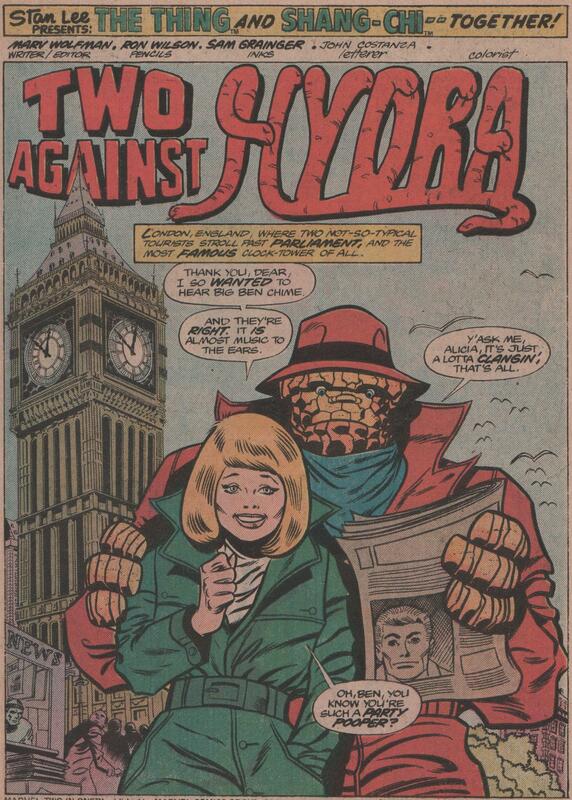 Just take a look at that awesome splash page of Ben and Alicia in front of Big Ben! Enjoy!